Team members, holding the winning amount. 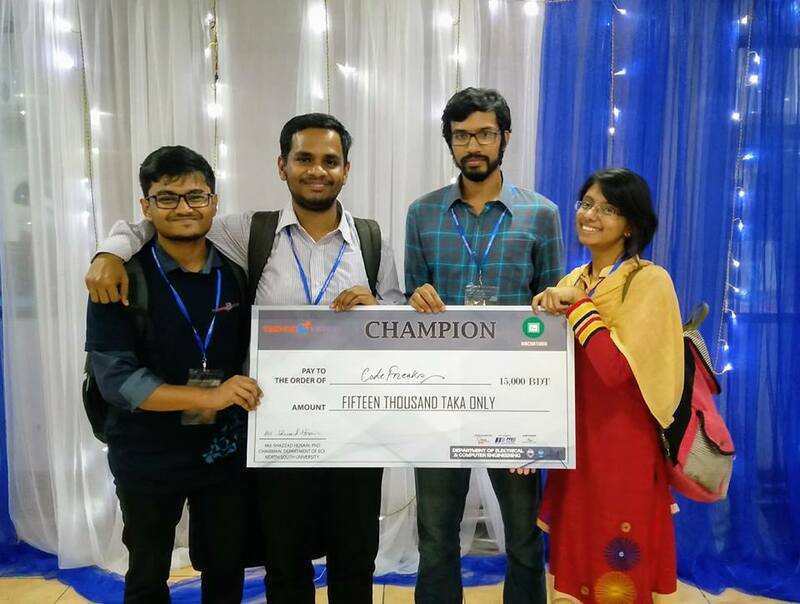 IITians won the first prize at NSU Technovation Hackathon 2018 through their project "Virtual Trial Room". The team members were: Rafed Muhammad Yasir Moumita Asad Shuvo Saha Fazle Rabbi Congratulations to all of them! !